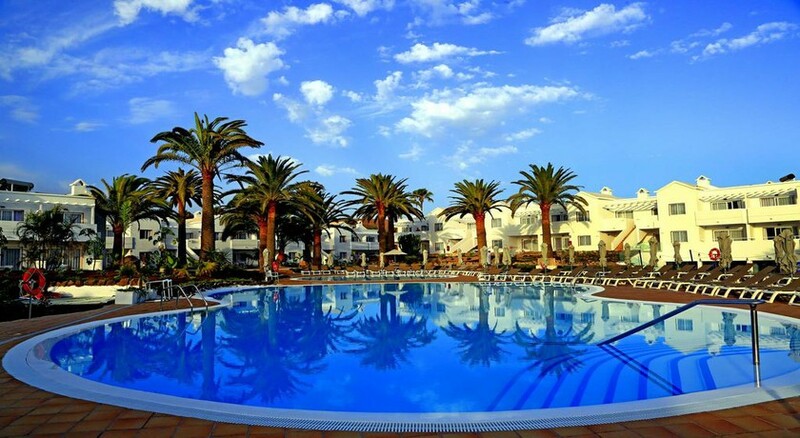 Labranda Corralejo Village is a family-friendly budget hotel in Corralejo, northern Fuerteventura. This property is just a 4-minute walk to the nearest sandy beach and is set amidst lush gardens. Labranda Corralejo Village is surrounded by the unique natural landscape of the Corralejo and its huge, sand dune beaches, making it a great spot if you’re a beach lover. 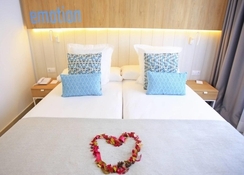 The hotel beckons tourists with the promise of a comfortable stay and warm hospitality within close proximity of scenic beaches and natural greenery. There is an outdoor pool, a terrace area, fitness centre and spa, plus plenty of activities and a kid’s club for tiny tots, too. 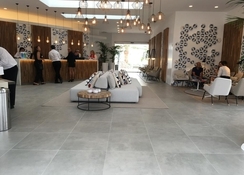 Labranda Corralejo Village has a buffet-style restaurant where guests can indulge in breakfast, lunch and dinner on-site, before exploring what this all-round resort has to offer. Labranda Corralejo Village is a 4-minute walk from the beach. 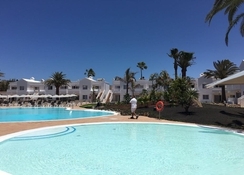 Enveloped by the distinctive natural landscape of the Corralejo and its large, dune beaches, Labranda Corralejo Village enjoys a very strategic and scenic location in northern Fuerteventura. The attractive beaches of El Burro Beach and Los Charcos Beach are situated 6.6km and 13.9km away respectively. Distance from Fuerteventura Airport to the hotel is 31.1km. 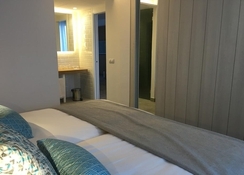 Each of the well-furnished guestroom in Labranda Corralejo Village has an open-plan lounge and is designed with modern, contemporary decor. There are terraces or balconies which offer stunning views of surrounding sunny gardens. 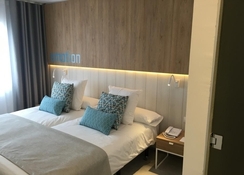 The air-conditioned rooms come in Twin room, Triple Room and Quadruple Room and come furnished with double/twin beds, sofa, desk and chair, en-suite bathrooms and safe. There is a furnished kitchenette at the guestrooms to help guests cook their own meals. Labranda Corralejo Village has a buffet restaurant which serves up breakfast, lunch and dinner prepared by expert cooks from the freshest ingredients. The restaurant serves sumptuous local and international fare. There is also a bar where guests can chill with a drink. 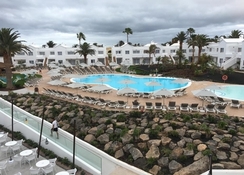 Labranda Corralejo Village has a lovely outdoor pool where guests can have some splash-tastic fun. There is exciting evening entertainment for the family. A Kids' Club and Playground to keep the tiny tots occupied. The hotel offers Bicycle Rental (additional charge) and facilities like Ping-Pong, Pool Table(additional charge).